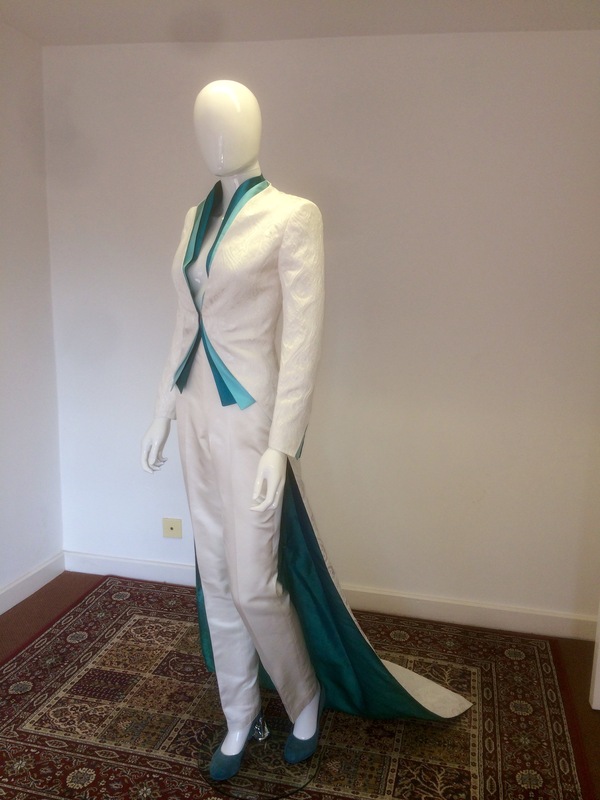 Understated, bright, elegant or a show stopper number, bridal suits and formal occasion wear has a bespoke twist. 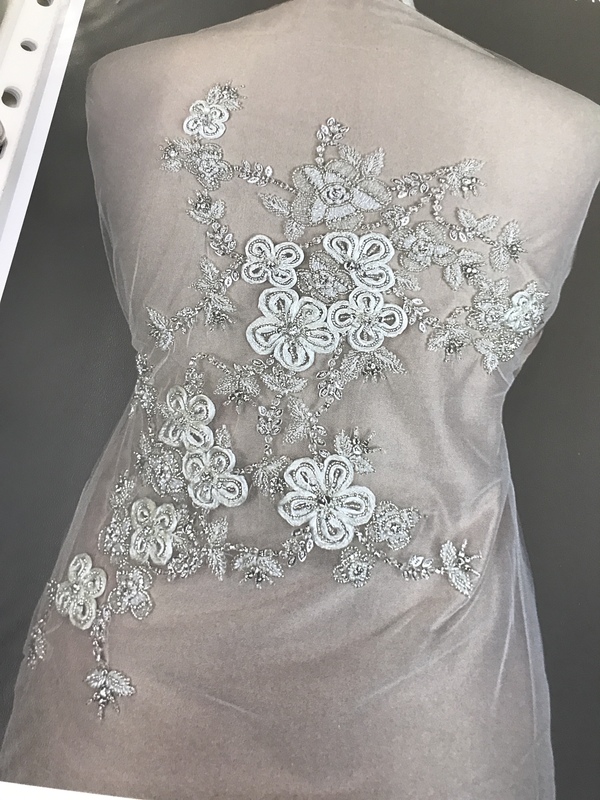 We specialise in Bridal Suits, we can also make dress and skirt business suits and formal occasion wear such as Mother of the Bride. 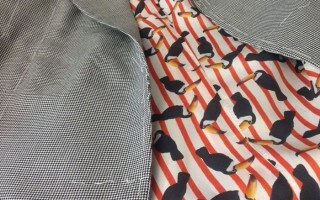 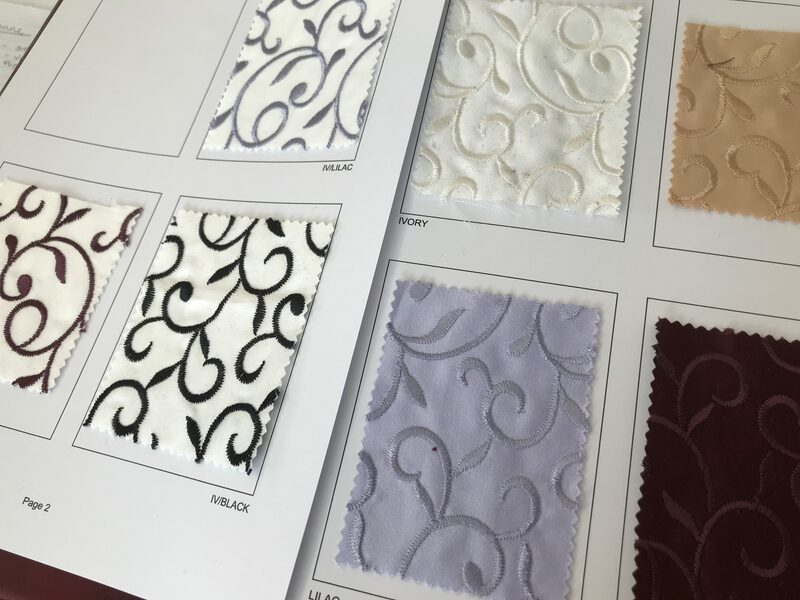 As long as you are after something tailored, we can accommodate almost any style required. 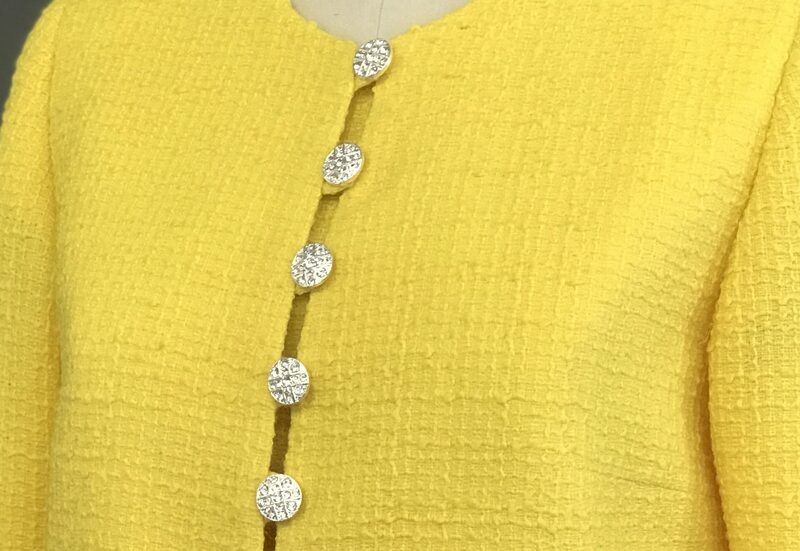 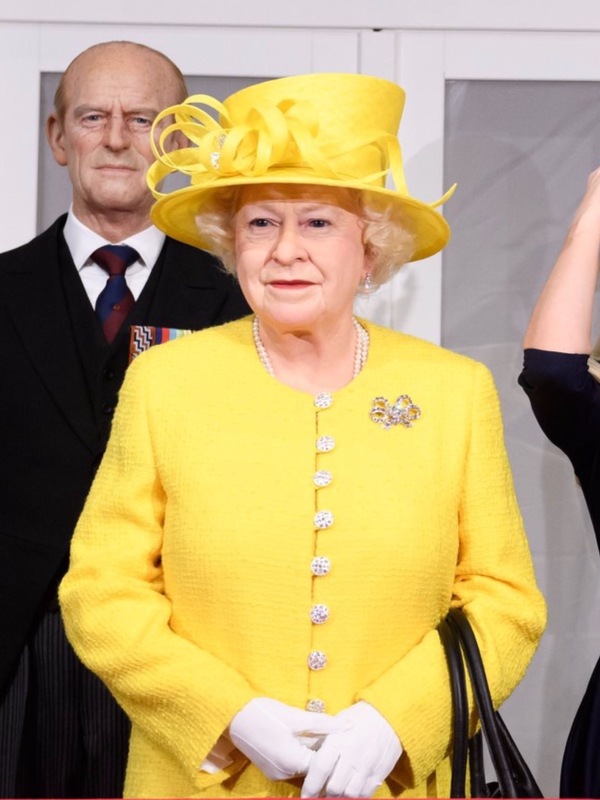 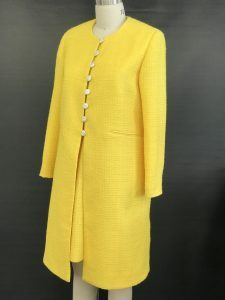 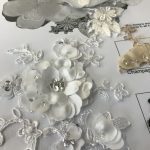 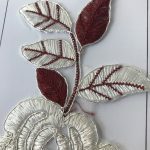 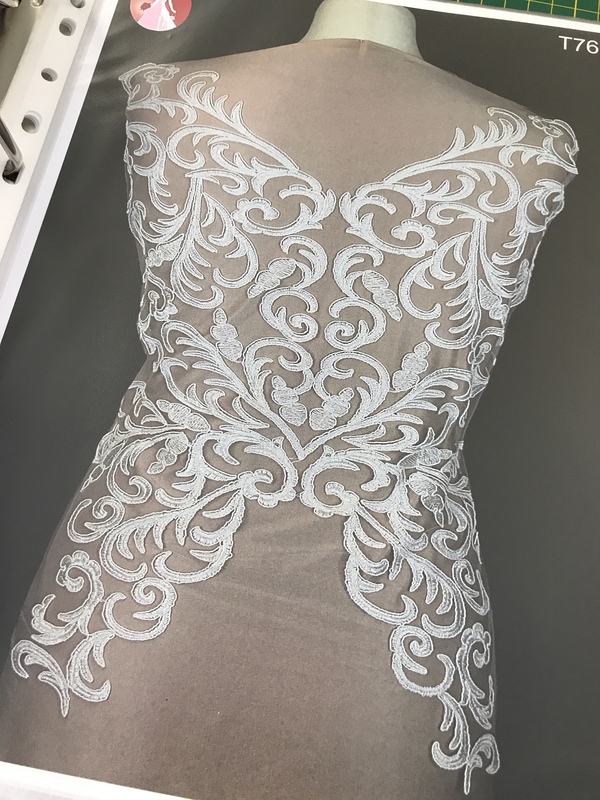 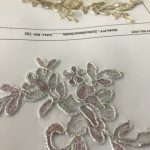 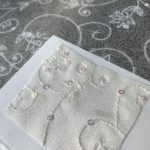 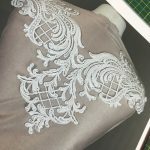 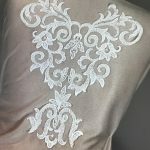 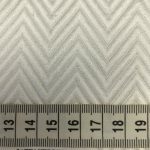 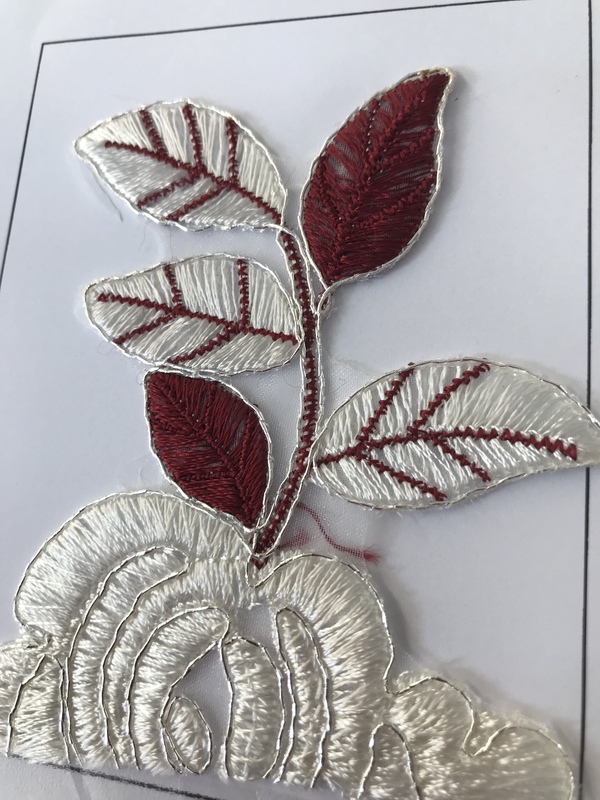 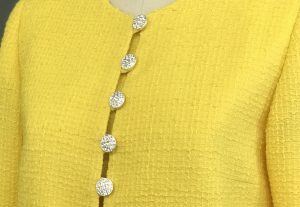 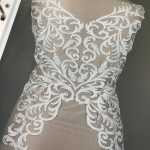 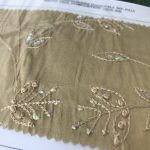 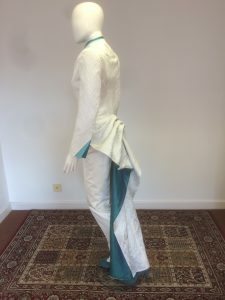 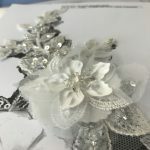 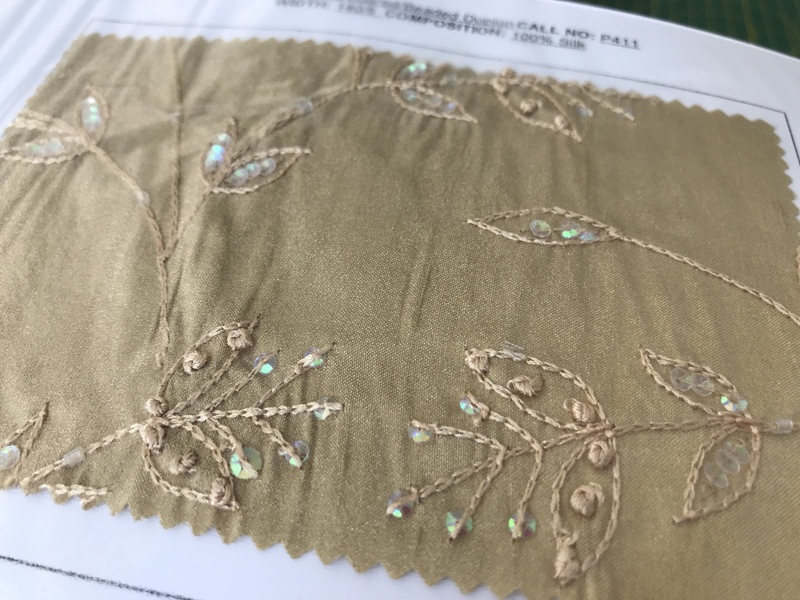 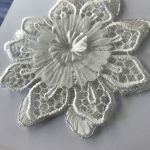 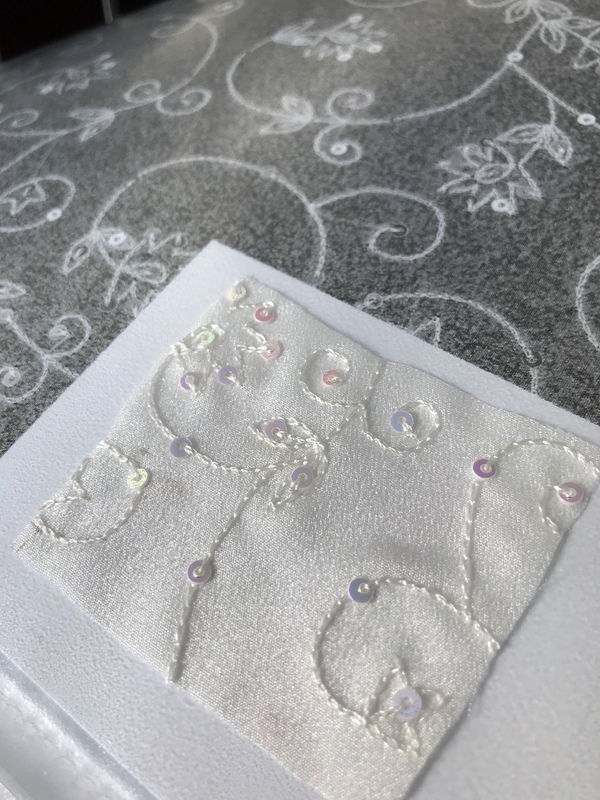 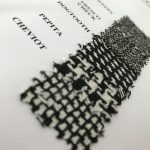 If you are after a floaty, or unstructured garment I can point you towards some Couture Dressmakers that will be better suited to make your item. Prices start at £1,990 for a skirt suit and £2,099 for a dress suit. 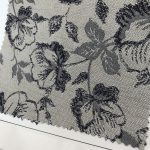 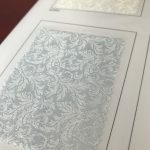 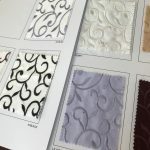 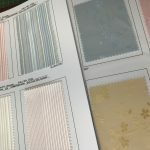 However prices will vary with any additional trims and some cloth choices. 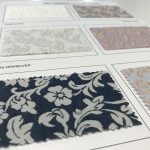 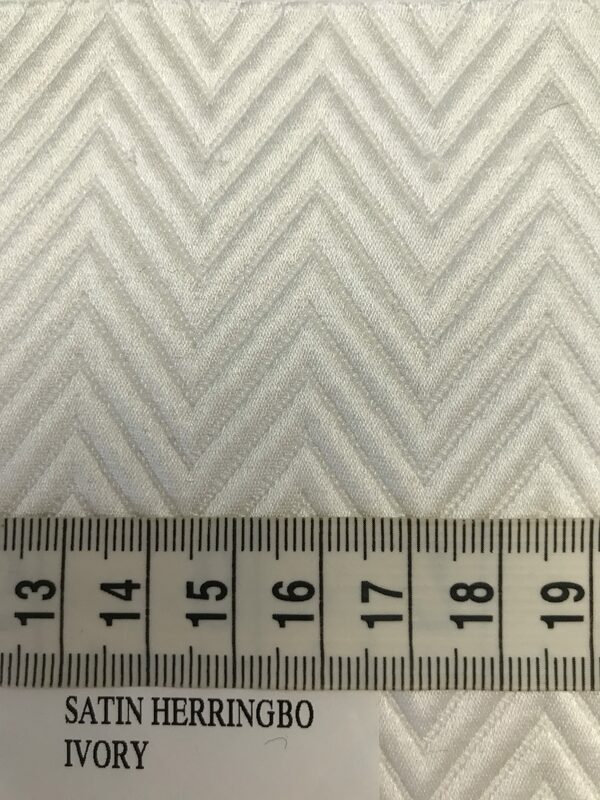 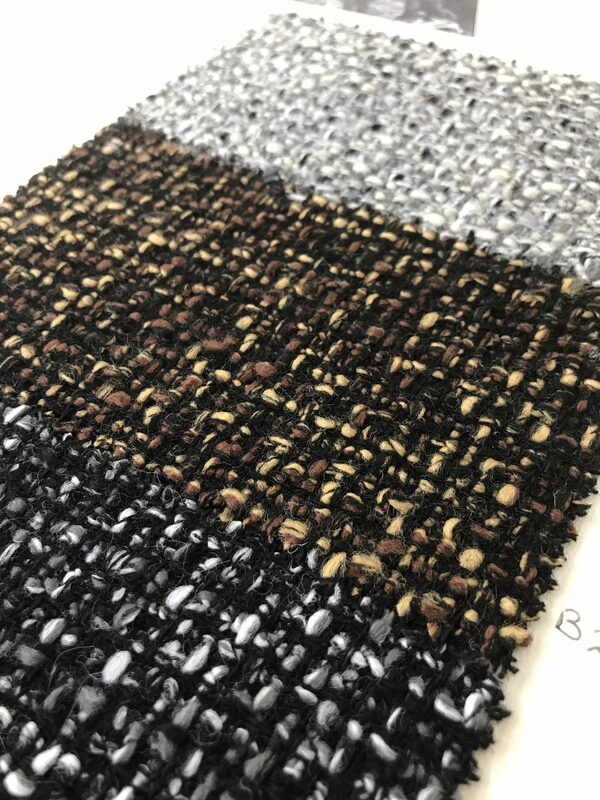 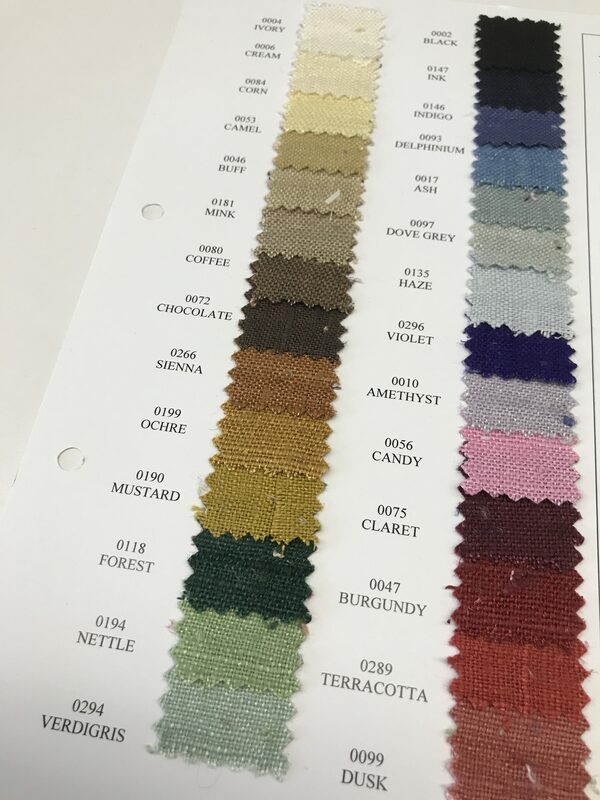 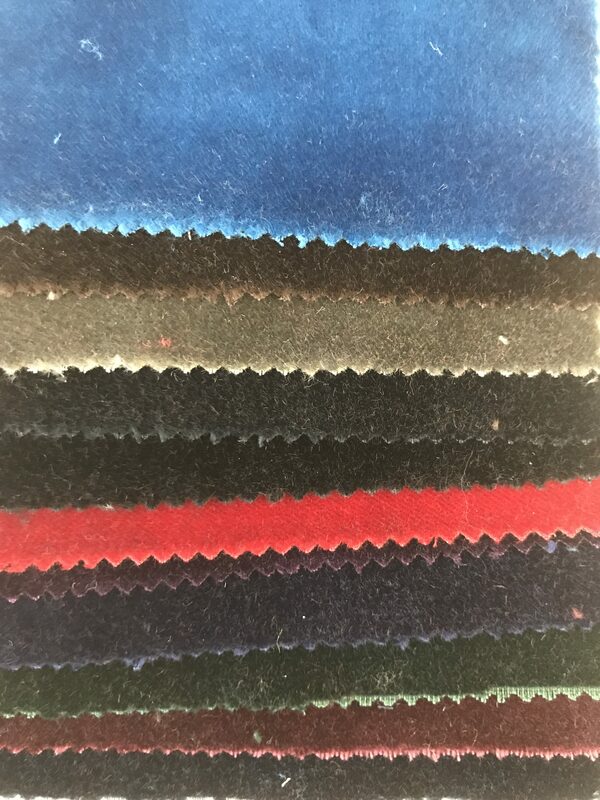 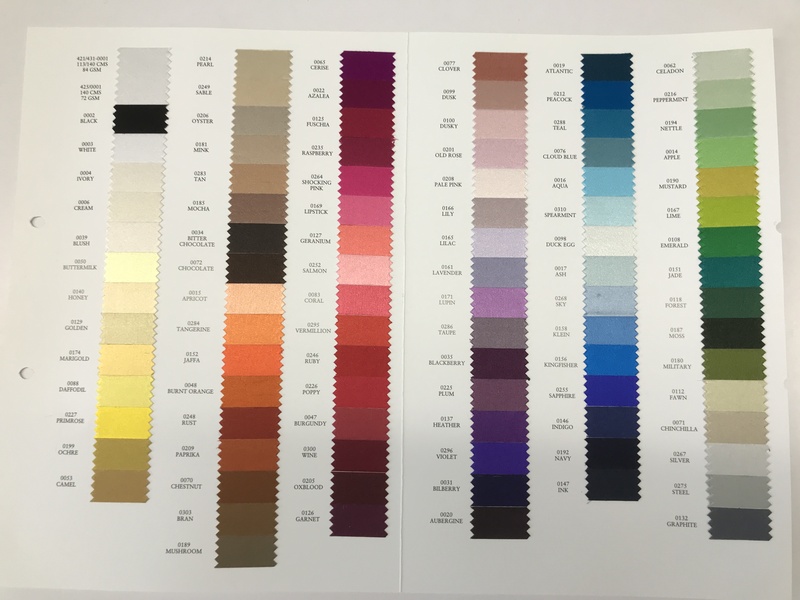 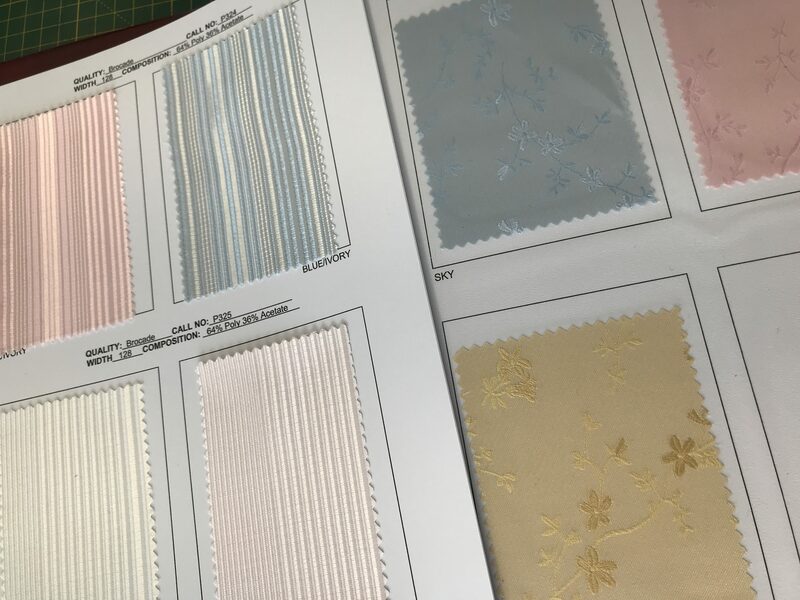 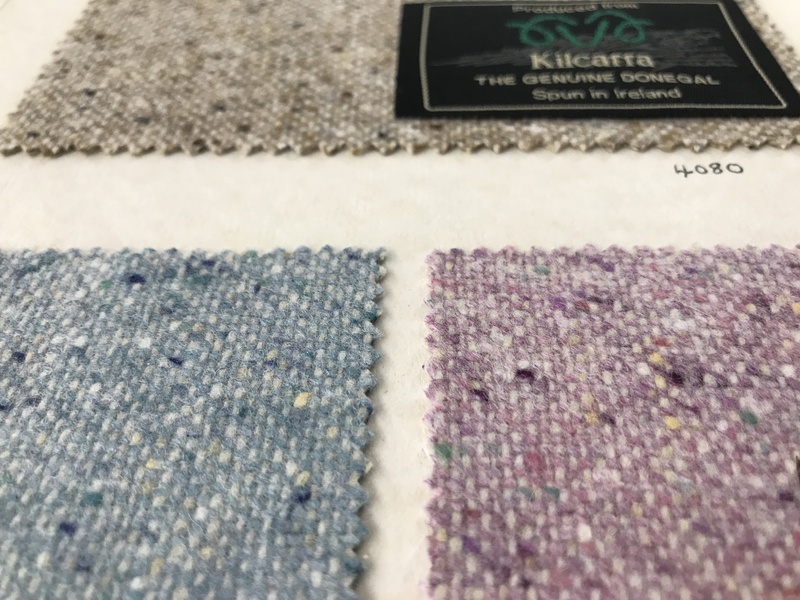 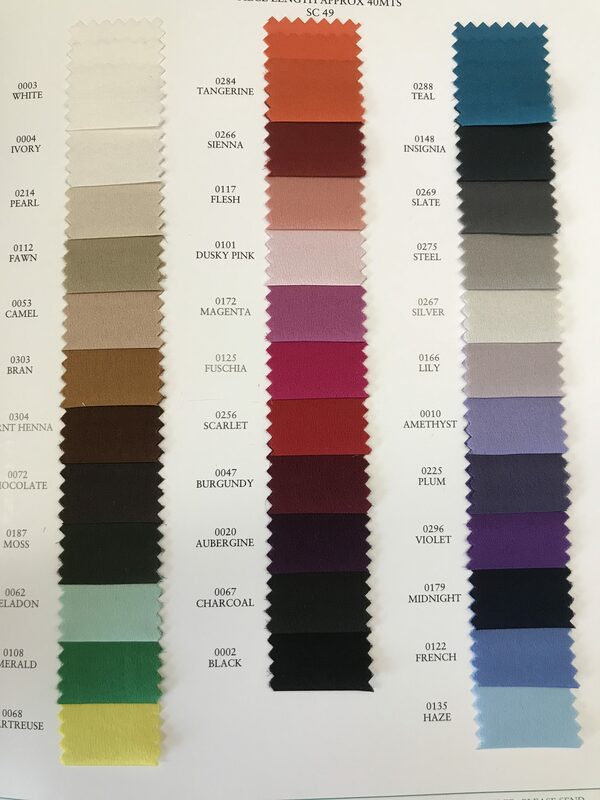 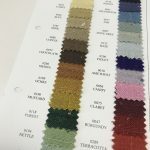 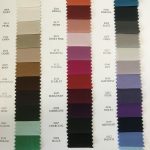 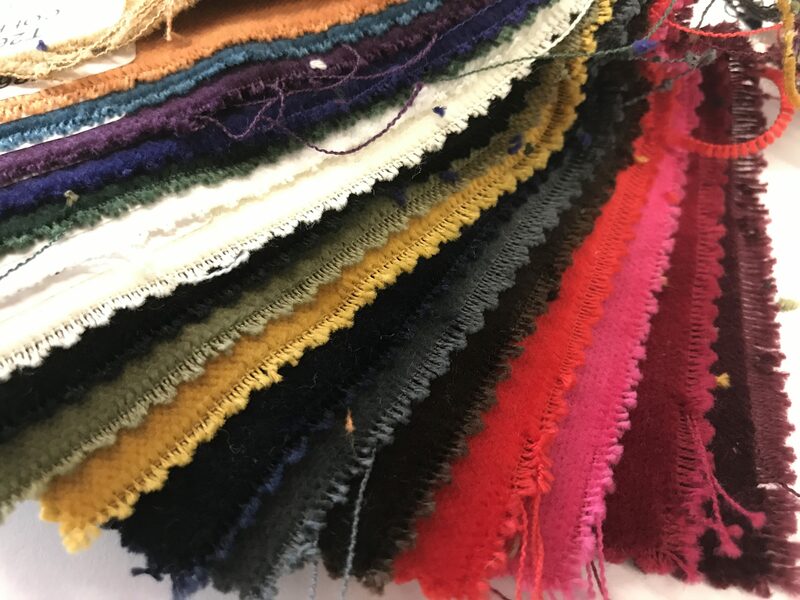 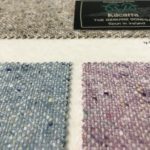 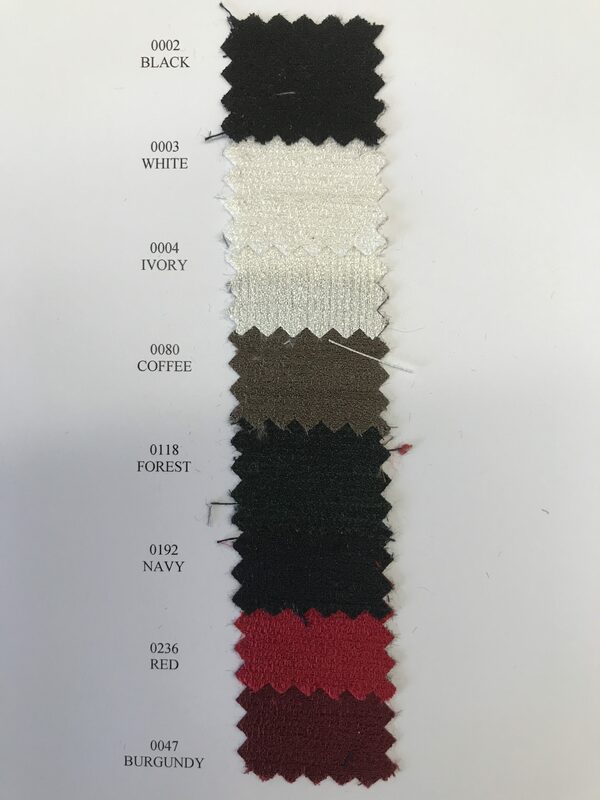 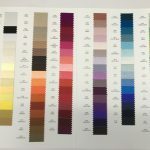 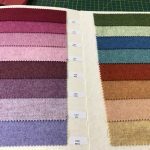 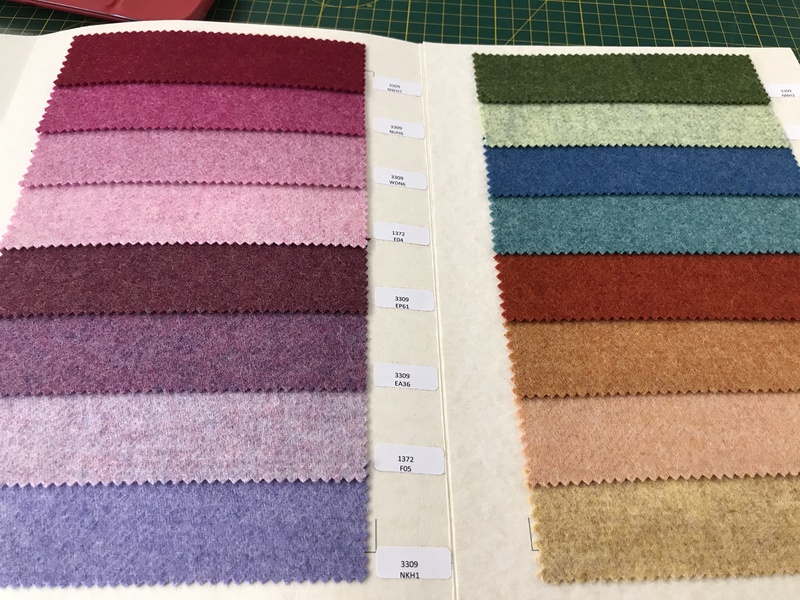 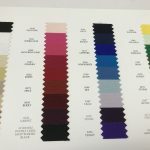 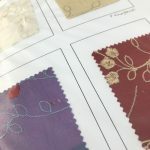 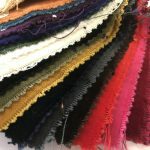 We have a huge range of cloth samples in the studio for you to choose from, this here is just a small selection. 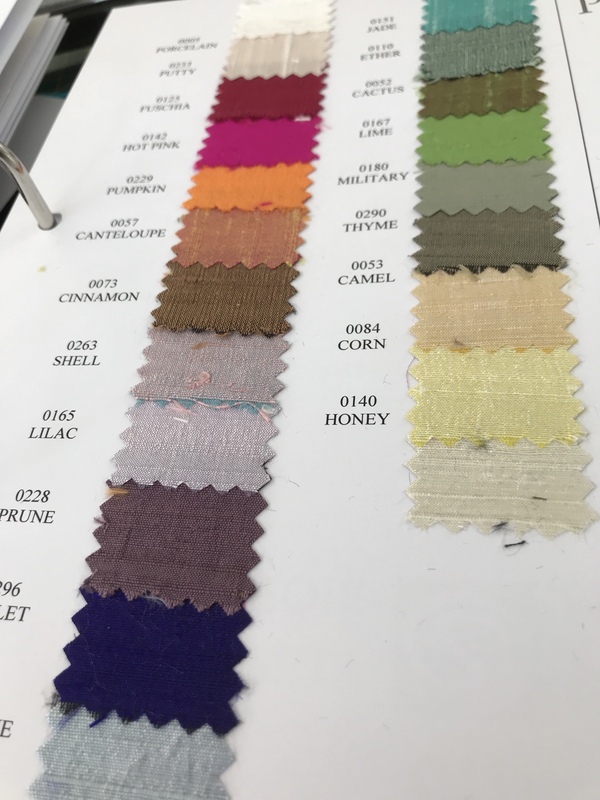 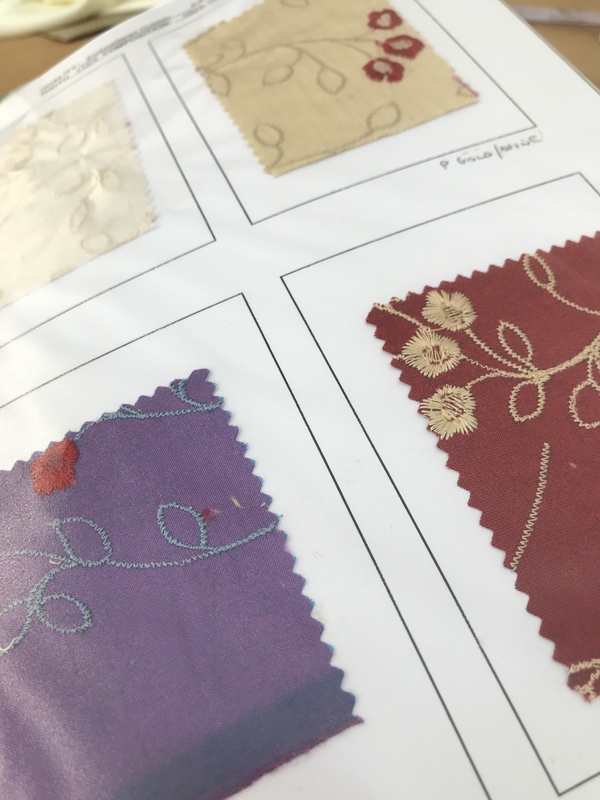 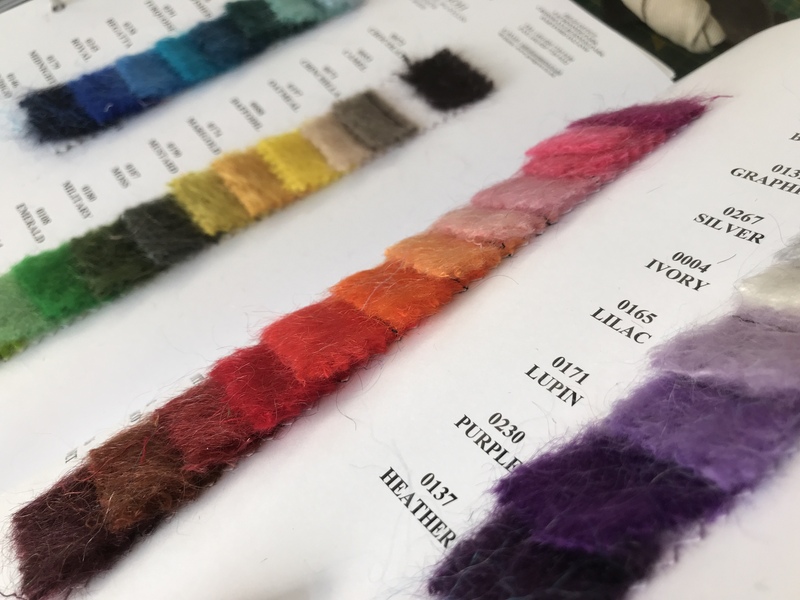 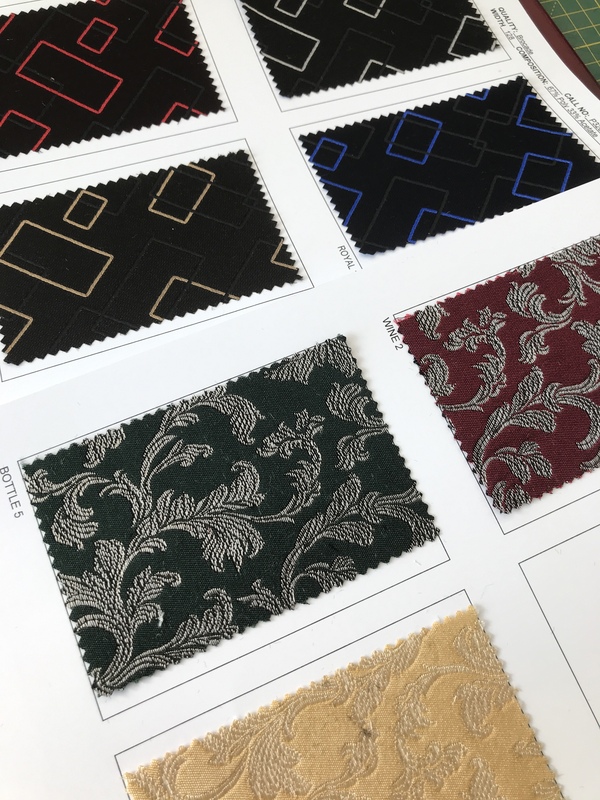 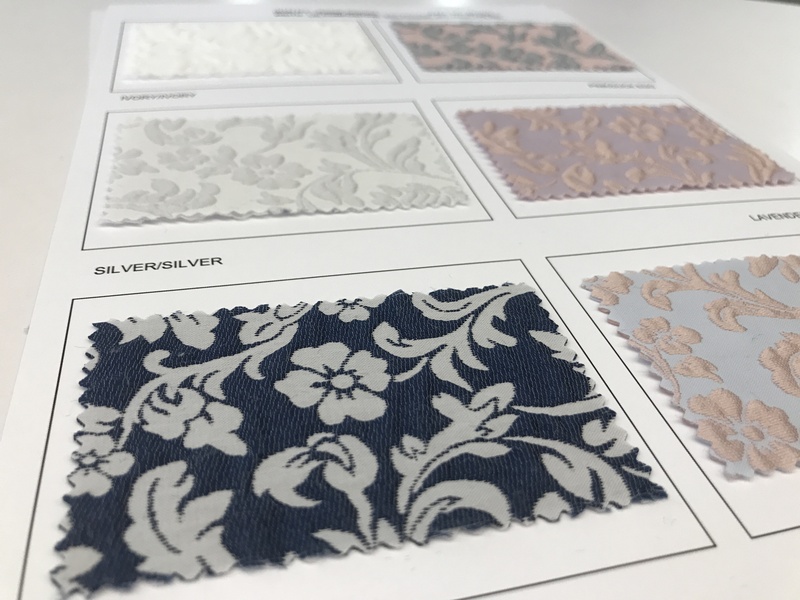 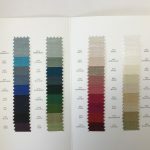 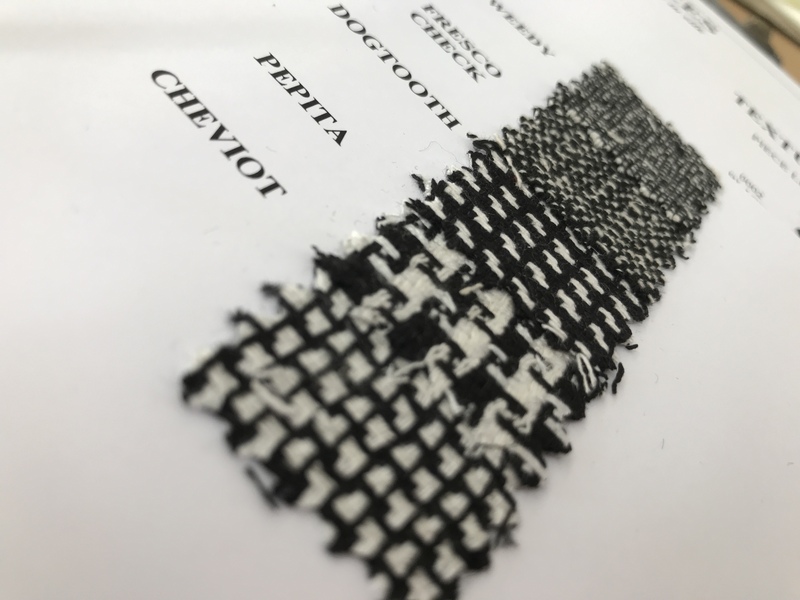 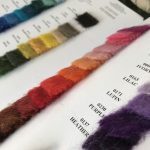 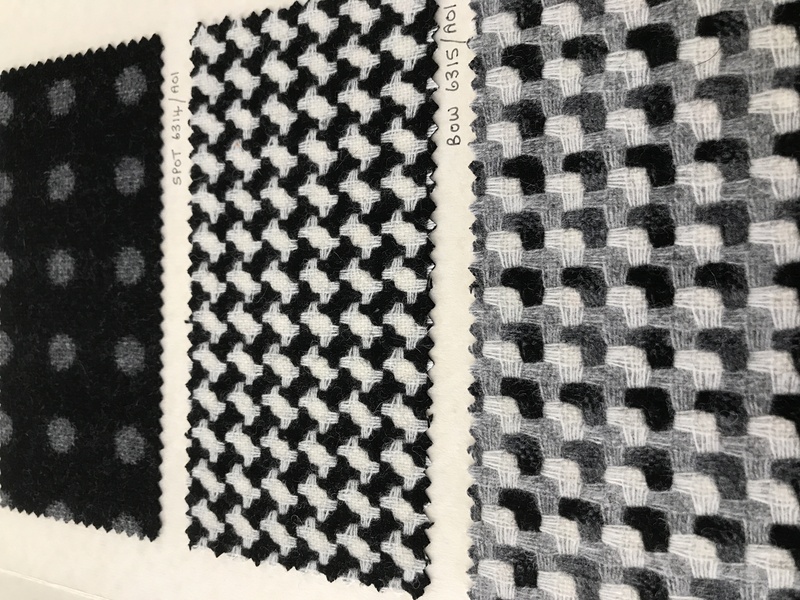 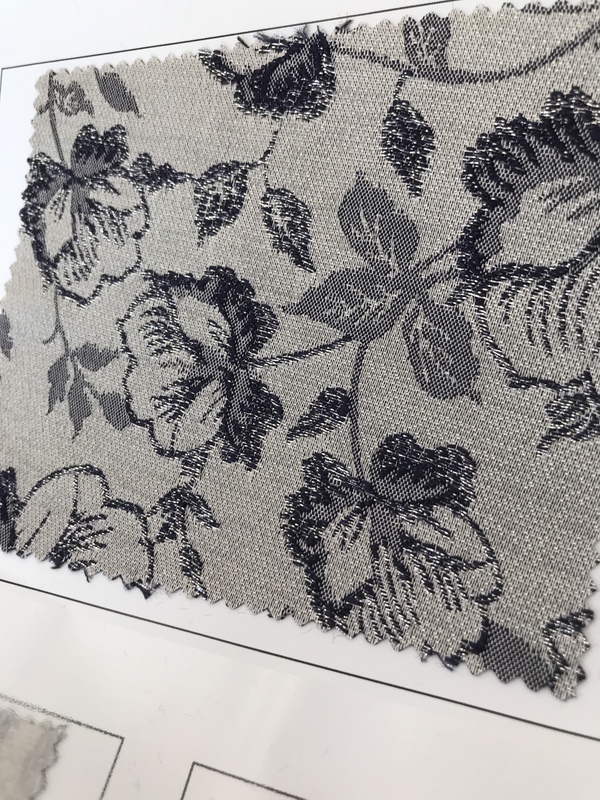 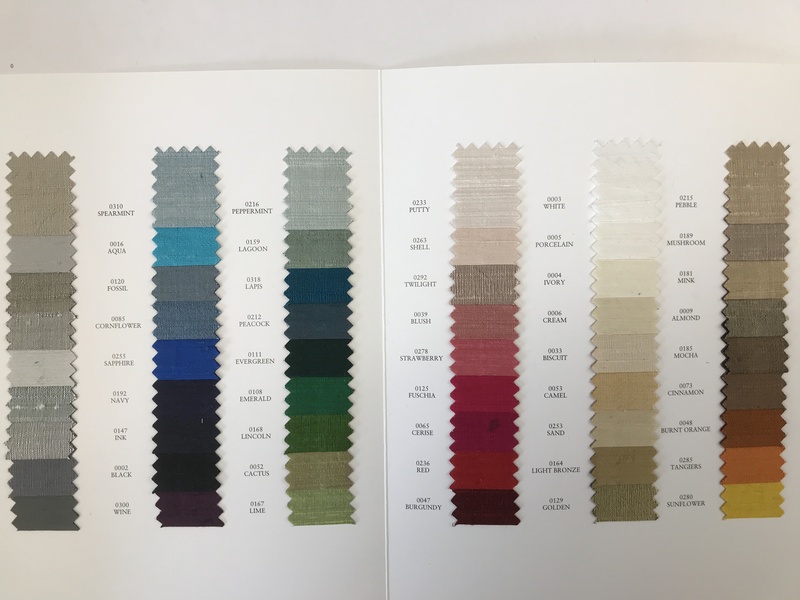 Fabric compositions will vary from wools, linens, silks, velvets, metallic thread and occasionally man made fibres where it cannot be avoided. 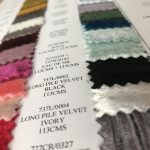 The options when it comes to bespoke tailoring are endless. 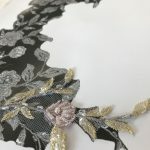 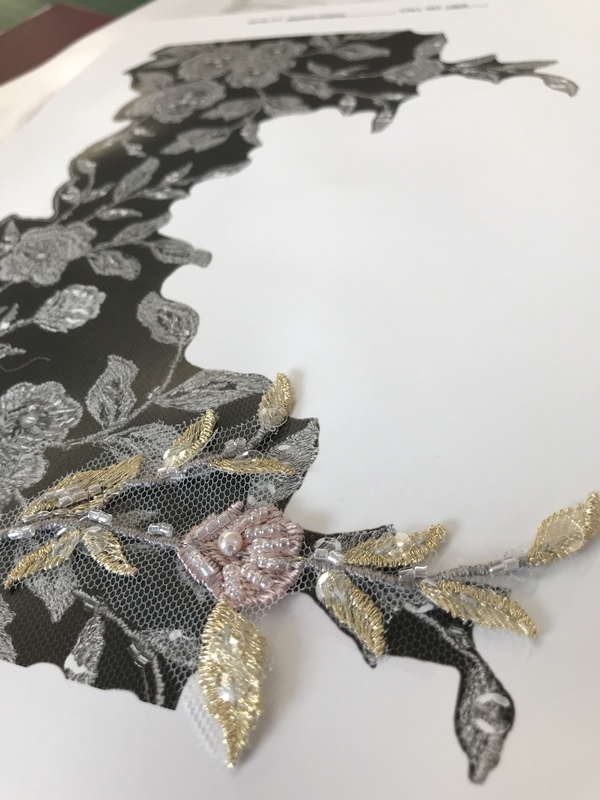 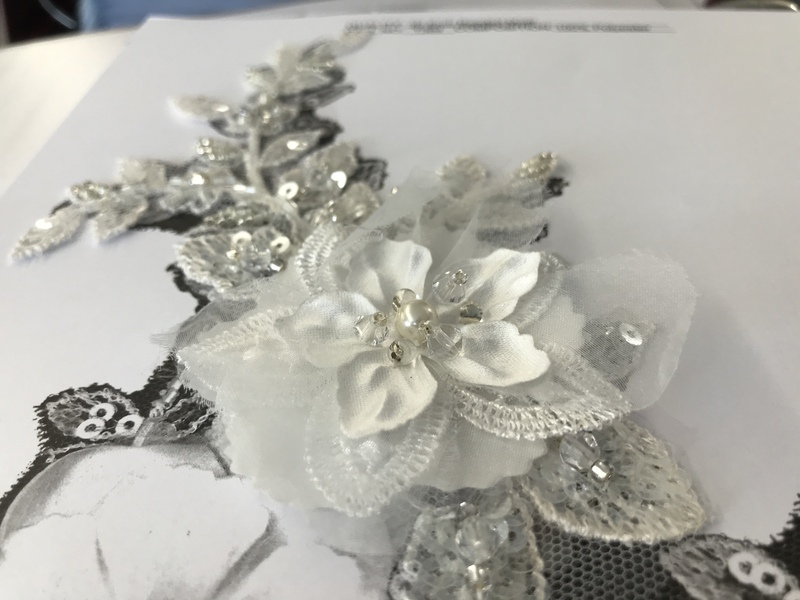 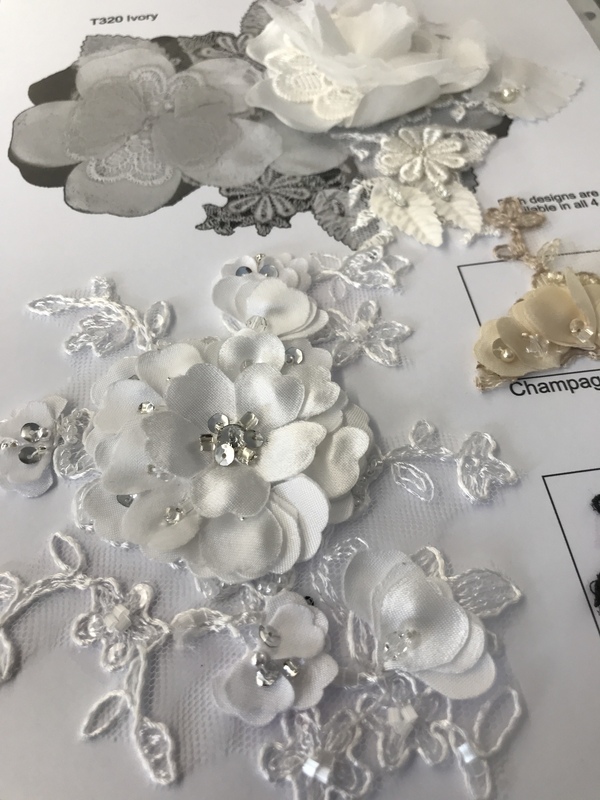 Make it unique to you by combining different textures, colours, lace motifs and embellishments to create your personal style makes a bespoke piece fit for a Queen. 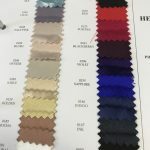 Perfect for the cooler months and versatile for many occasions beyond the boardroom, a dress suit needn’t be just in a navy pinstripe although all the suiting cloths are also available to choose from. For that extra special outfit, perhaps a brocade jacket and plain dress or trousers to match. 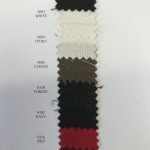 The perfect all rounder cloths, versatile and classic formal wear. 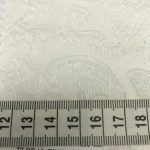 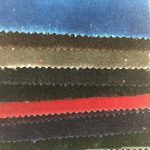 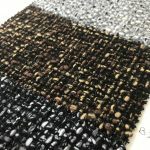 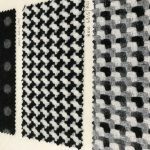 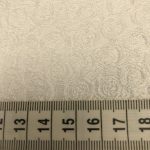 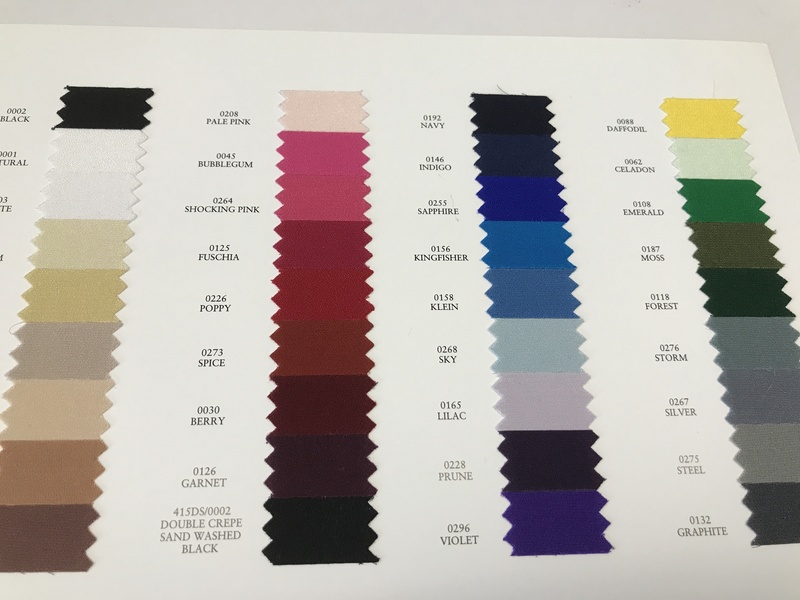 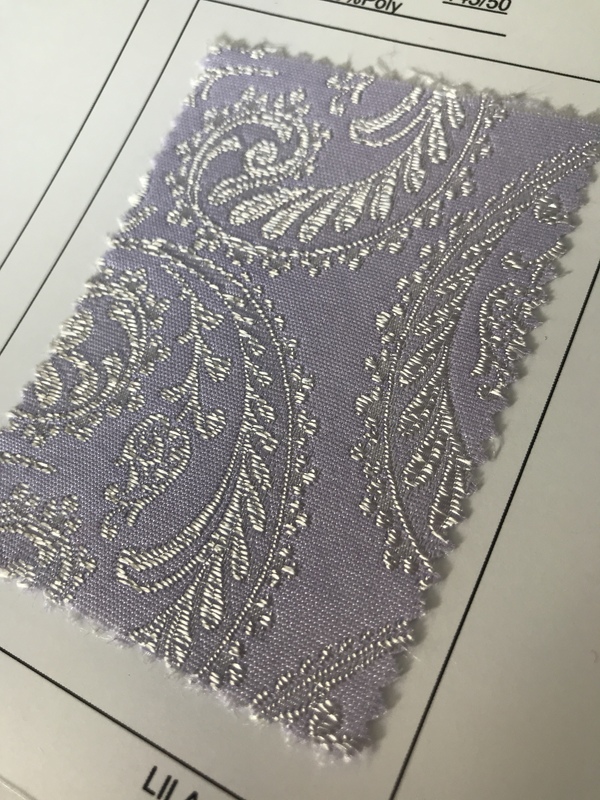 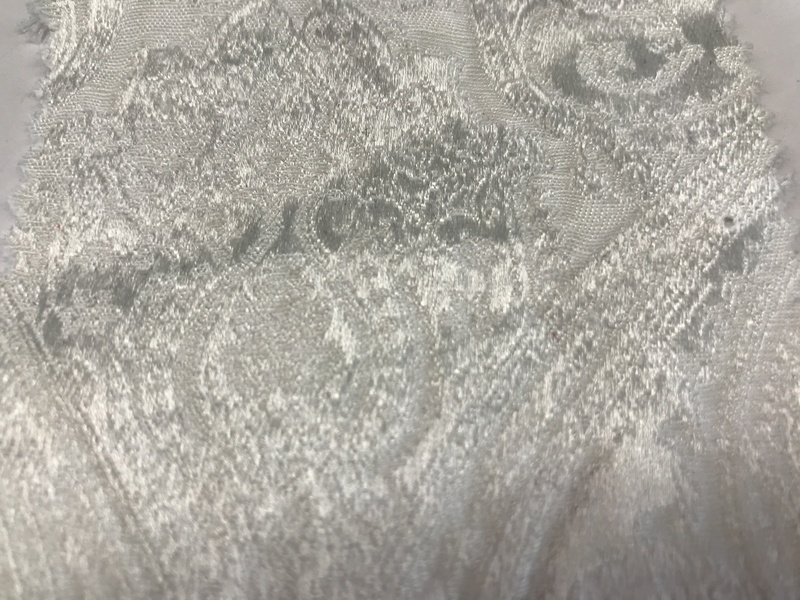 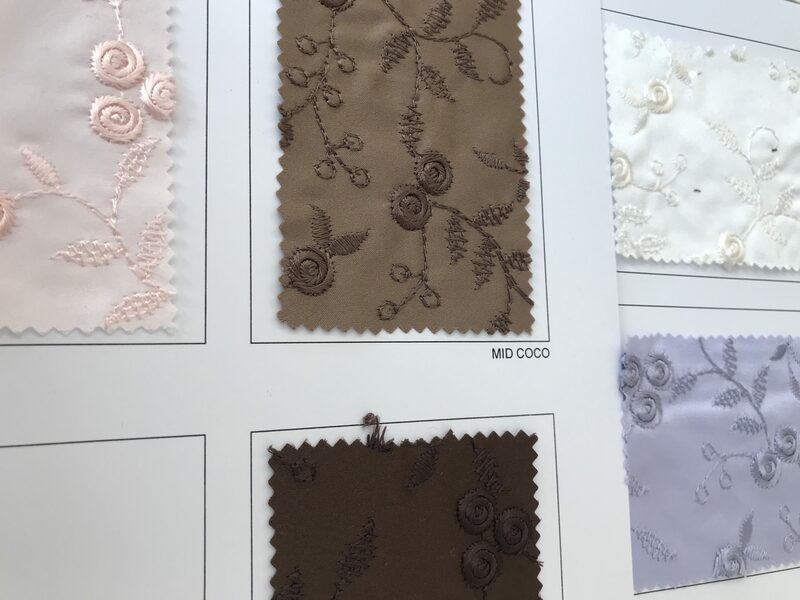 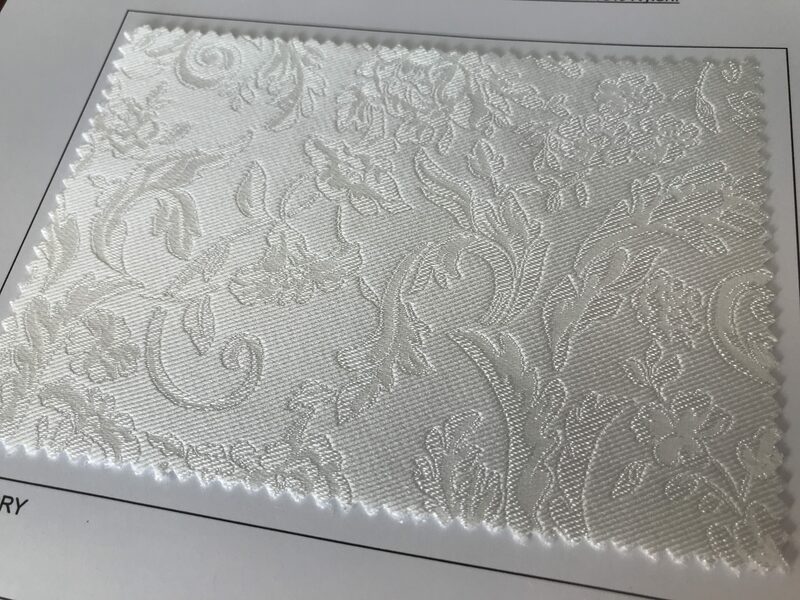 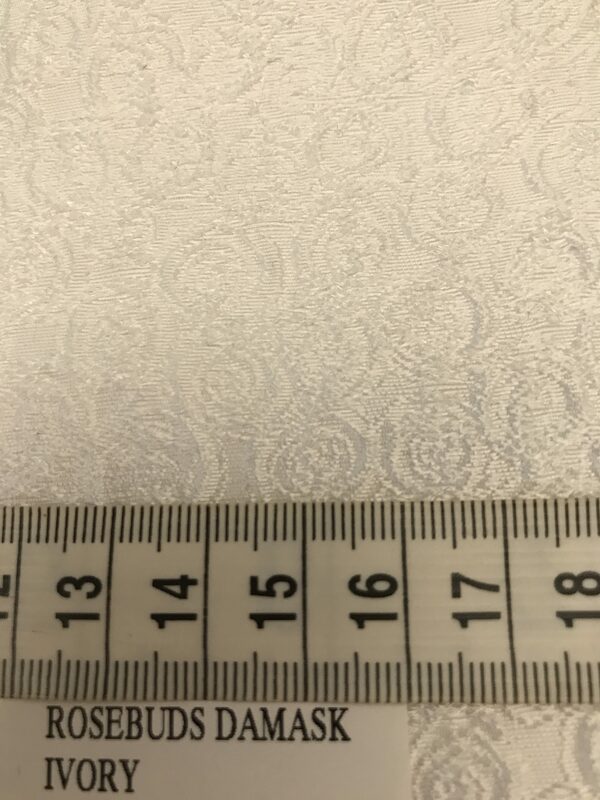 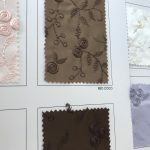 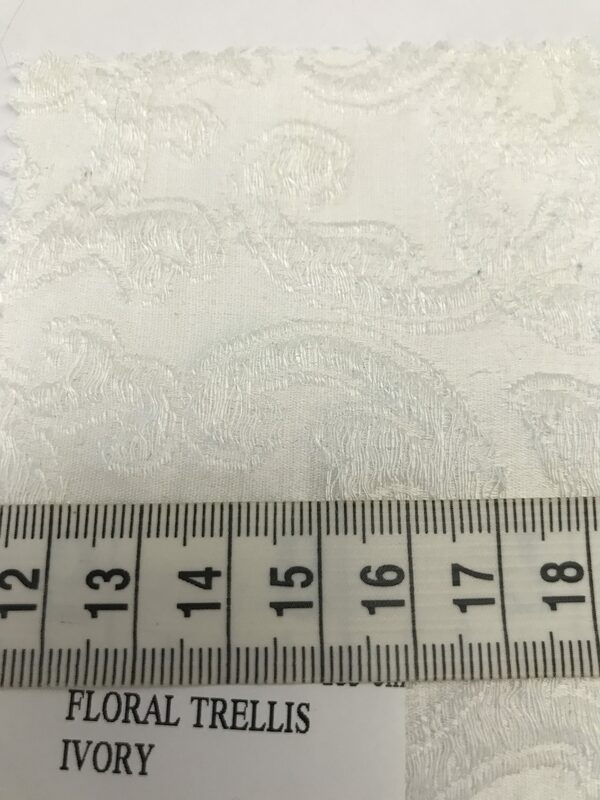 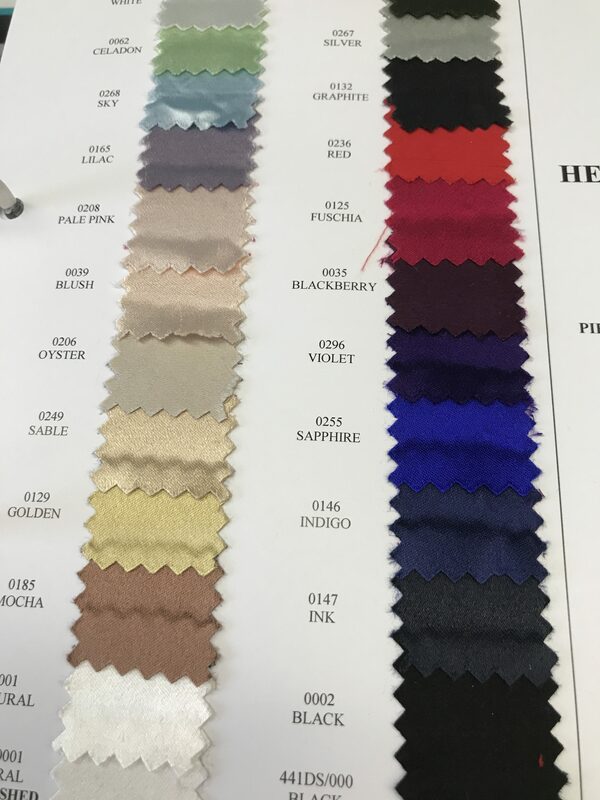 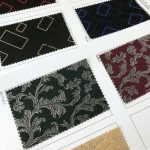 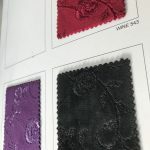 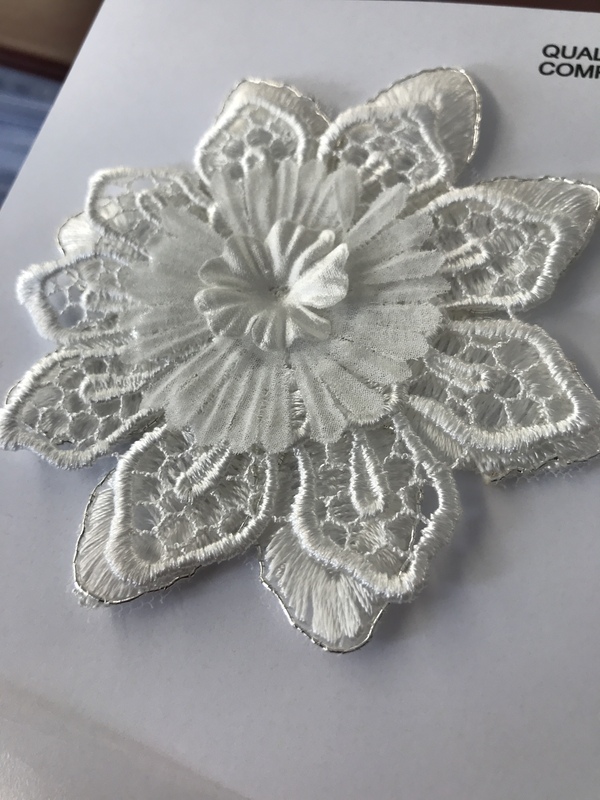 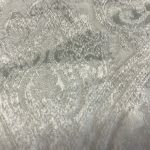 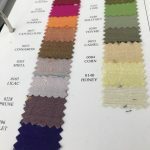 The silk dupions are suitable for suits, waistcoats, jackets, skirts and dresses and compliment the broad range of cloths we have available. 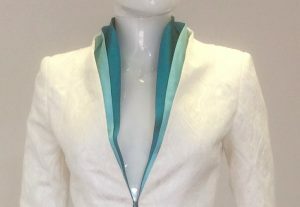 Keeping it white or ivory for bridal suits, only limited by the imagination. 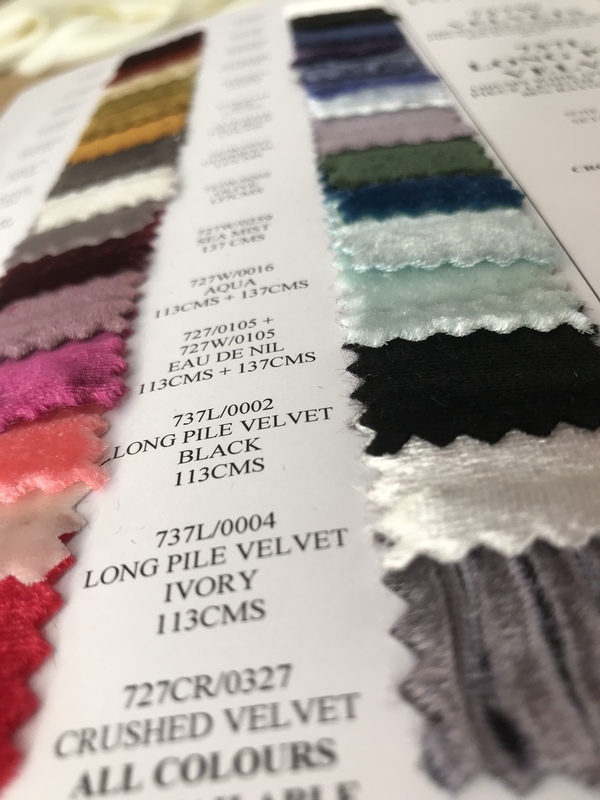 The addition of apliques to a plain coat or jacket will set your outfit apart from the crowd and make your bespoke truly one of a kind. 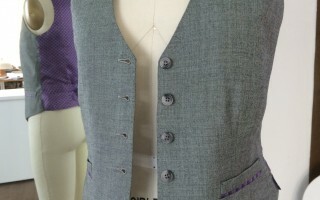 With endless combinations of lace motifs on either coloured or white backgrounds you can bling up your suit. 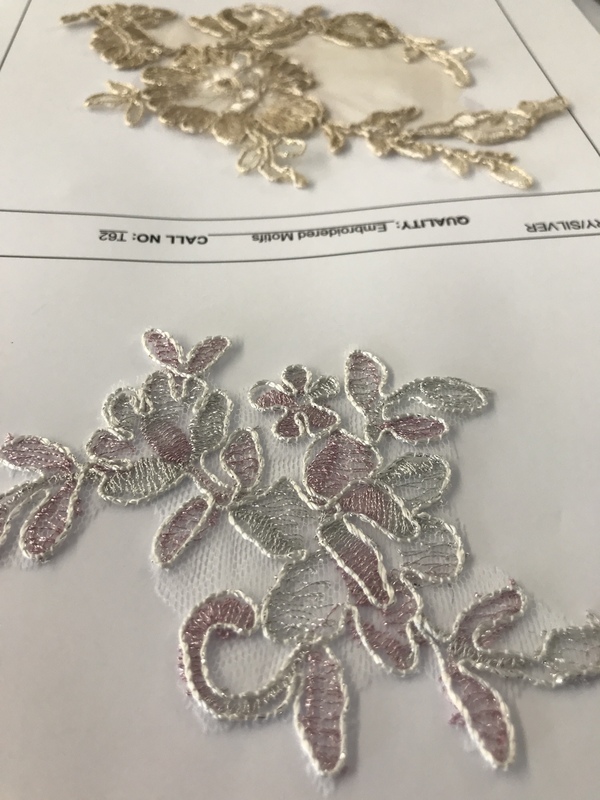 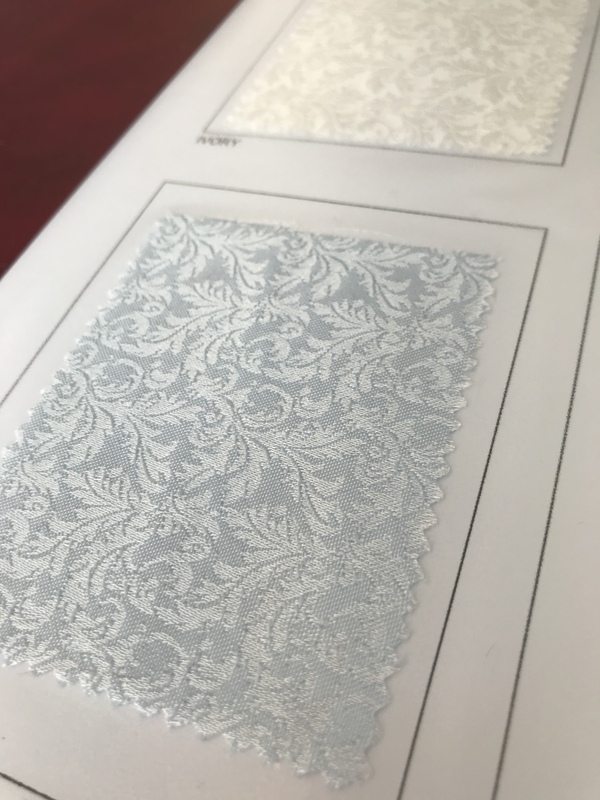 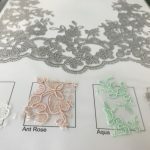 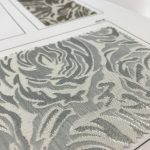 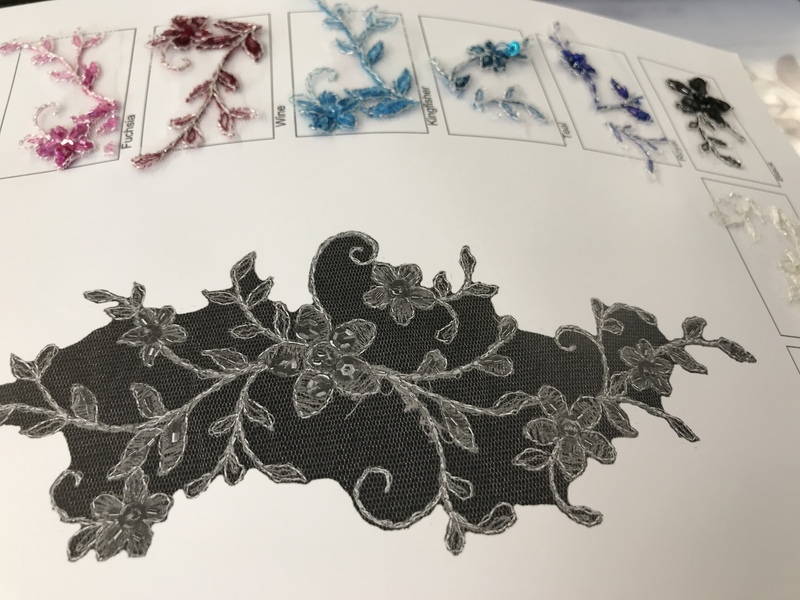 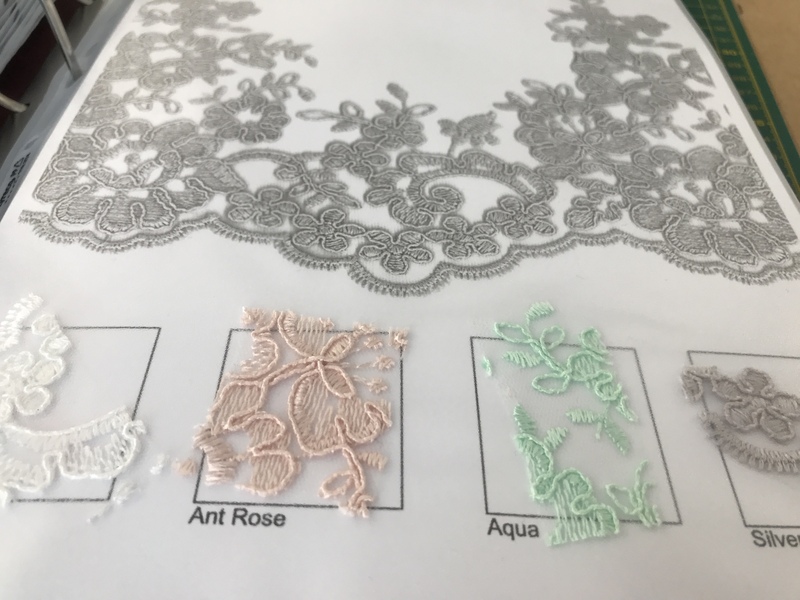 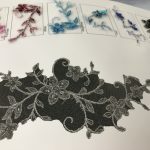 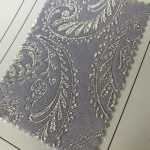 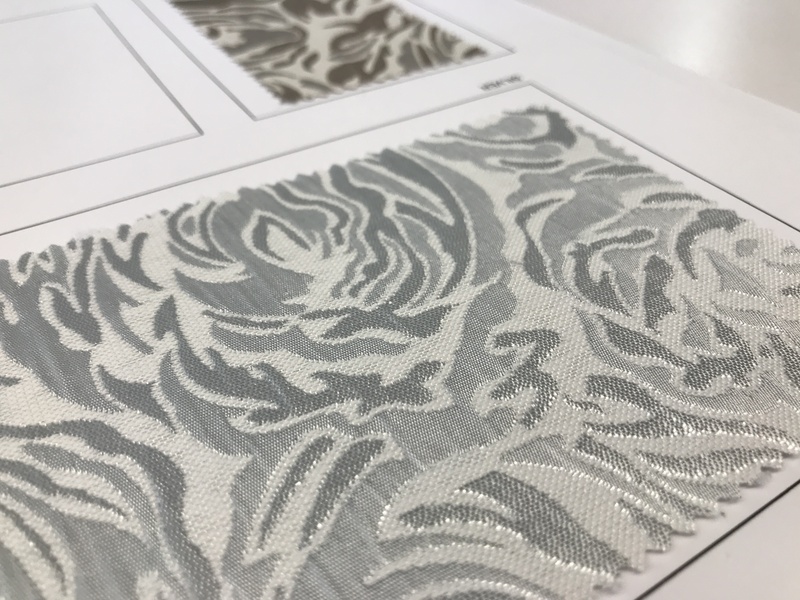 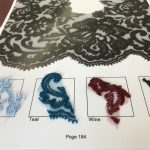 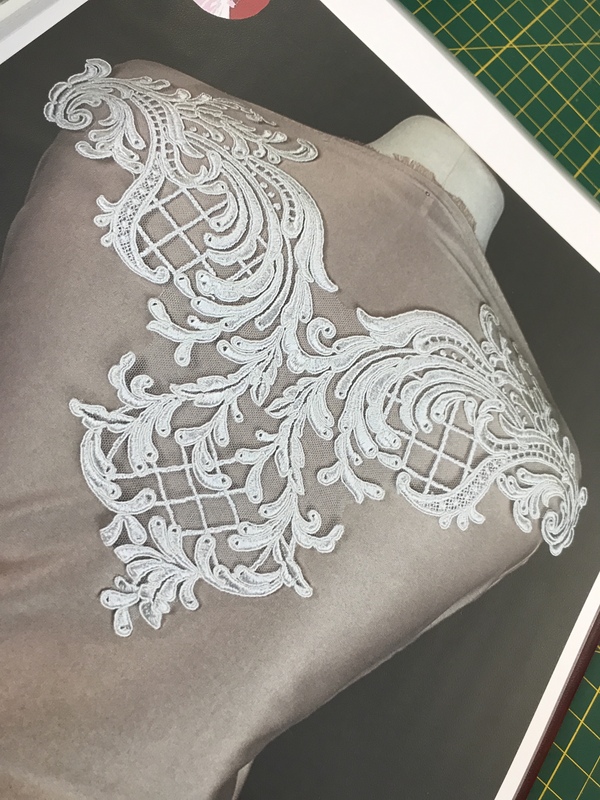 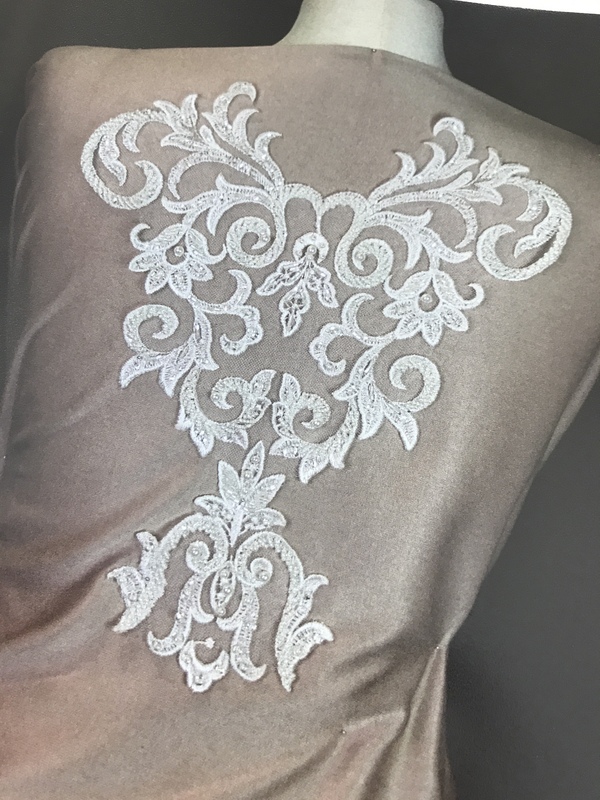 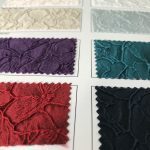 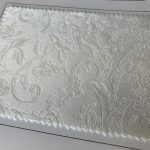 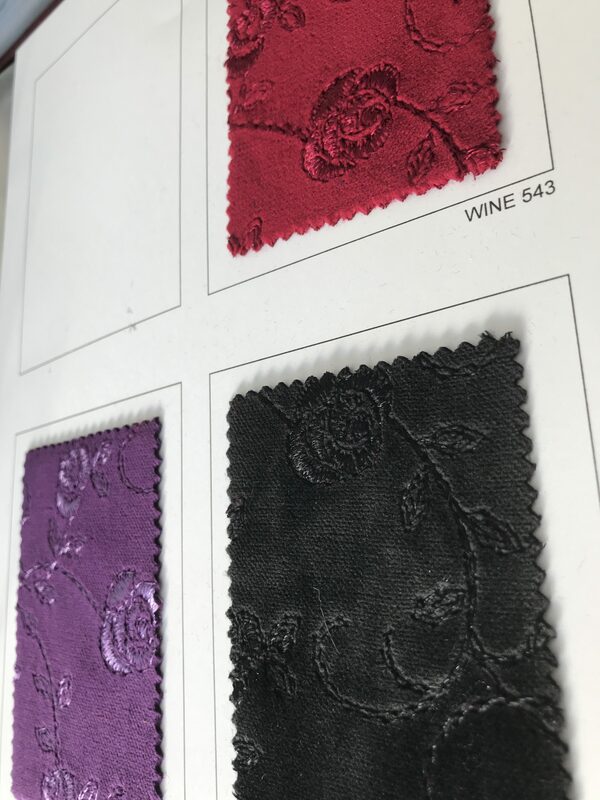 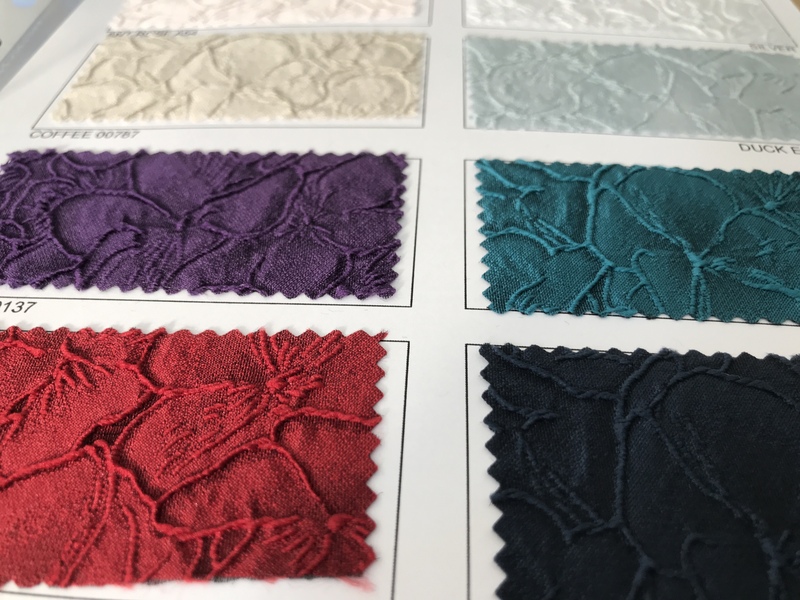 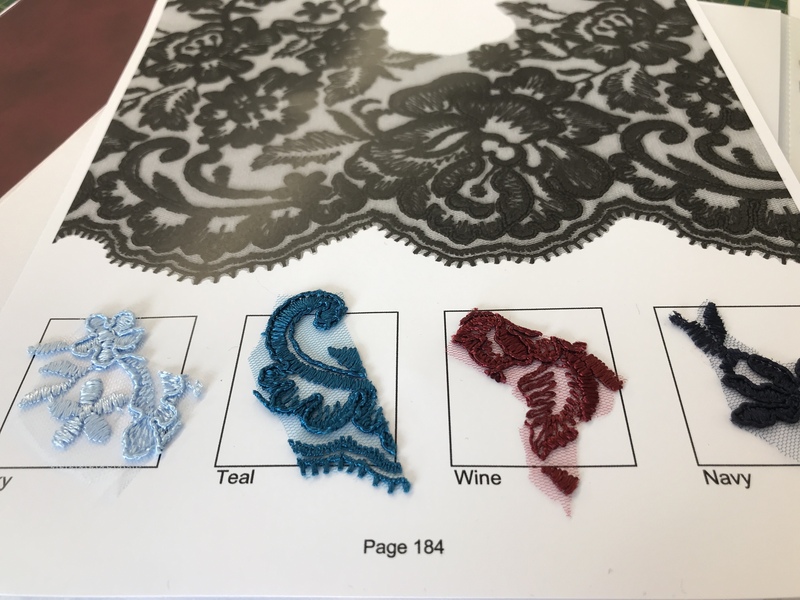 These lace panels are another option to add to your suit, overlay the lace or be daring and have a cut away area, the choice is yours. 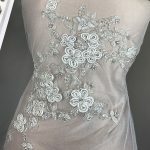 My Pinterest Page has a great selection of style ideas or book an appointment to go through your ideas on 0118 979 3880.